Geeky people often have. . . . a mind with its own heartbeat!!!! Interestingly, in his prose-introduction to the “Centuries”, the seer dwells at some length on the destruction of Islam and Mecca. The city will be smashed up in such a way that all those who enter it will sicken and die. The only interpretation of this forecast is that there will be radioactive fall-out in the area. Nostradamus declares that the Hindus will be engaged in the task of revenge for seven years from the seventh month of 1999. Interestingly, even Islamic texts predict doom in the 15th century of their religion. The Pope and his canting clergy will seek refuge in Paris. They will be assisted by a Scottish leader who is called Hadrian in the “Centuries”. This is a reference to Hadrian’s Wall to isolate Scotland built by the Roman emperor Hadrian, 1,800 years ago. Judging by the “Centuries”, the climateric war of 1999 will find India, Russia and America ranged on one side as allies. Is this at all likely? For answer, let us turn to the famous American seeress Jeane Dixon, whose forecasts have been collated in a best-selling book. Its title is “The Gift of Prophecy”, authored by Ruth Montgomery. Jeane Dixon correctly foresaw the Partition of India in 1947, and the assassination of Mahatma Gandhi shortly afterwards. She was frequently consulted by American presidents. She told President Roosevelt in 1944 that America and Russia would be in alliance in 1999 against China. At that time (1944) Communists had not yet seized power in Peking. But in 1949 they were victorious. Incidentally, Jeane Dixon forecast Sanjay Gandhi’s death in 1980. The classical name for the Chinese emperor was “Son of Heaven”. A Chinese leader will therefore, launch a terrible war in July (Nostradamus says seventh month) of 1999 in imitation of Genghis Khan, the great Mongol conqueror. Mars is the seer’s nick-name for a French statesman who will resist China in 1999. He will be exiled from Paris till the Hindu army rescues him and restores him. What is one to make of the predictions of Nostradamus? Will they come true? The seer himself admits that the “Centuries” were written in a mystical trance. The conscious mind did not produce them. When it is remembered that more than 800 of the forecasts have already been fulfilled in the last 400 years, skepticism seems unwarranted and inept. In quatrain 42, Century X, the seer predicted that the British empire would collapse in 1942. 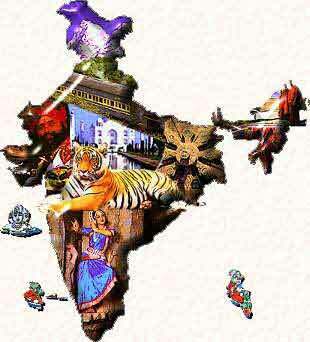 In that year, the Quit India movement gave the death-blow to British imperialism. What makes the forecast truly breathtaking is the fact that there was no Britain and no empire when Nostradamus published his predictions in 1555. England joined up with Scotland to form Britain only in 1603. The battle of Plassey was fought in 1757, heralding British rule in India. When Nostradamus published the “Centuries” in 1555, the title referred only to the arrangement of quatrains in groups of 100 years. It was not an allusion to the hundreds of years that the predictions actually span. There are 10 centuries in all, making a total of about 1000 quatrains. But Century (7) is incomplete with only 44 verses. The short-fall is adequately made up by additional quatrains include later. Ever since their first (1555) appearance, the Centuries have been a perennial best-seller. 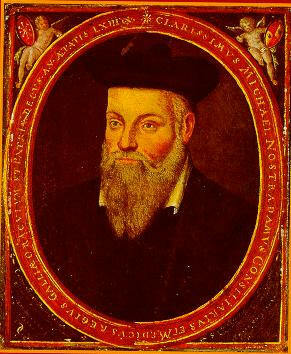 The first English translation of Nostradamus’s great work was made in 1672 by Theodore Garencieres. The second translation came in 1715 from the pen of a priest who called himself only by the initials D.D. The next translation was in 1891 when Charles Ward made a scholarly attempt to interpret the often-obscure quatrains. Ward’s translation was reissued in America in 1940 by the Modern Library. At that time, the Second World War had been started by Hitler. Hitler and his Nazi Germany made a clever attempt to misuse Nostradamus for propaganda purposes. A New edition of Centuries was printed in Germany giving a totally false interpretation of his prophecies. But Nostradamus himself had not the slightest doubt about Hitler’s ultimate fate. He predicted that the Nazis would be annihilated (Quatrain 77, Century VIII) after murdering countless Jews. In 1982, President Mitterand of France let it be known that he was an avid reader of the Centuries. In 1983, the well-known actor Orson Welles produced an immensely popular American television show on the forecasts of Nostradamus. There have ben so many English translations of the Centuries in the recent past, that the British journalist Taya Zinkin wryly remarked that Nostradamus would top any popularity poll. Mrs. Zinkin is no stranger to India. She spent many years in Delhi as a correspondent. Nostradamus predicts a glorious future for India. Is it possible to see into the future? Many believe that a man named Michel de Nostradamus could. His predictions of the future have mystified scholars for over four hundred years. Nostradamus made over one thousand predictions and historians say that over half of them have already come true. The most startling of his predictions deal with the coming of three anti-Christs (Guentte). My paper will focus on these prophecies made by Michel de Nostradamus. If his predictions of the past are accurate, then his predictions for the future may also come true. Nostradamus has been credited, for the most part in hindsight, with predicting numerous events in world history, from the Great Fire of London, and the rise of Napoleon and Adolf Hitler, the French Revolution, both world wars, and the nuclear destruction of Hiroshima and Nagasaki. There is also an evident consensus among popular authors that he predicted whatever major event had just happened at the time of each book’s publication, from the Apollo moon landings, through the death of Diana, Princess of Wales in 1997, and the Space Shuttle Challenger disaster in 1986,] to the events of 9/11: this ‘movable feast’ aspect appears to be characteristic of the genre. These two verses may in fact describe World War II and Hitler … or not. Was the most notable bit about Hitler his impoverished upbringing? What about the genocidal, megalomaniacal tendencies? Don’t those deserve something? Much of the talk of Nostradamus’ prophecy of Hitler may come from his use, in the original text, of the Latin word “Hister” to describe the Danube. Trust us, he was talking about a river, not a dictator: no self-respecting prophet would make such an egregious spelling error. With that said, this verse is accurate because it cheats a bit on the specifics. Critics charge that it’s so vague that it could also be used to describe a whole host of wartime atrocities during any of many wars that took place between Nostradamus’ time in the 16th century and today … or even the future. Posted on February 18, 2013 February 18, 2013 Categories geeks cornerLeave a comment on Do you know !